UPDATE: Enjoy this tablescape from our former home. We’re giving our new home a total remodel with a whole new look! Click HERE to see more. I hope you showed up hungry today because this is the kickoff of a Virtual Progressive Thanksgiving Dinner Party and you’re invited! 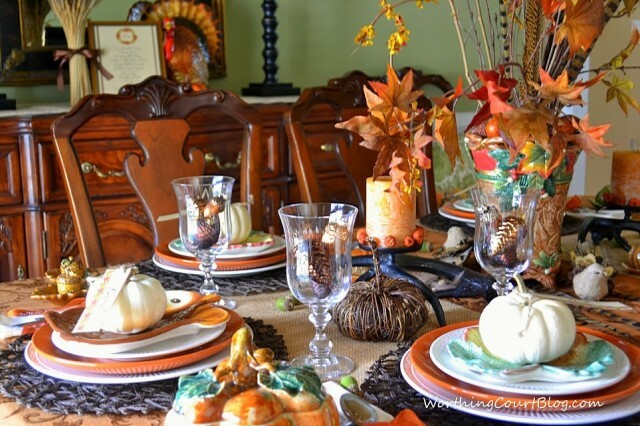 Over 20 bloggers are going to share their idea of what makes a perfect Thanksgiving dinner party. We’re sharing everything from soup to nuts – or maybe I should say from free printables and decor to deserts and gifts! Scroll all the way to the bottom for the daily schedule. I’m kicking things off with a free menu printable. 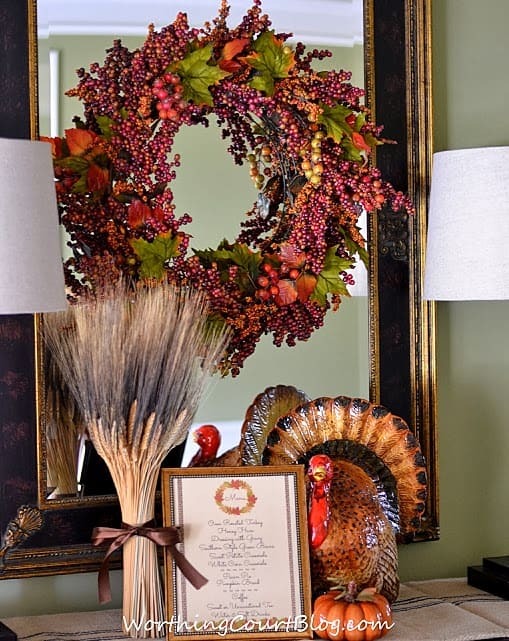 My menu is part of a simple Thanksgiving vignette on the sideboard in my dining room. I’d also like to see one displayed at the buffet or even on the dining table itself. To me, a menu adds a touch of “you’re special and I did this just for you” – no matter how simple the meal. I printed mine on some light tan’ish cardstock and used PicMonkey to add the menu items to a blank menu template. You can always just write the menu by hand though. I have it displayed in an 8 x 10 frame from the Dollar Tree, but I removed the glass to get rid of the glare. Click HERE to get the blank menu with lines. Click HERE to get the blank menu with no lines. 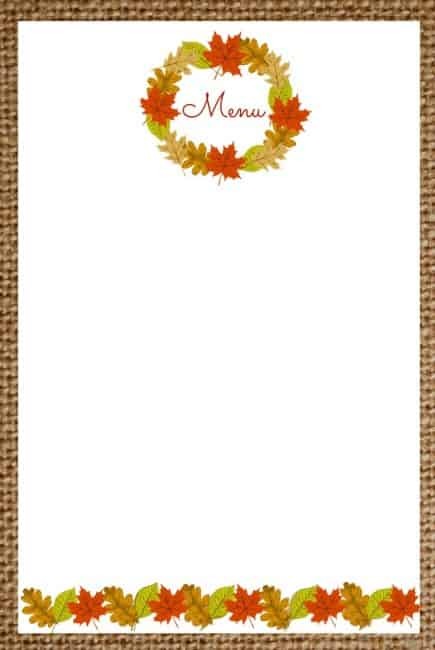 I created this printable to coordinate with a place card printable to give your dinner decor a more cohesive look. Click HERE to get the free place card printable. 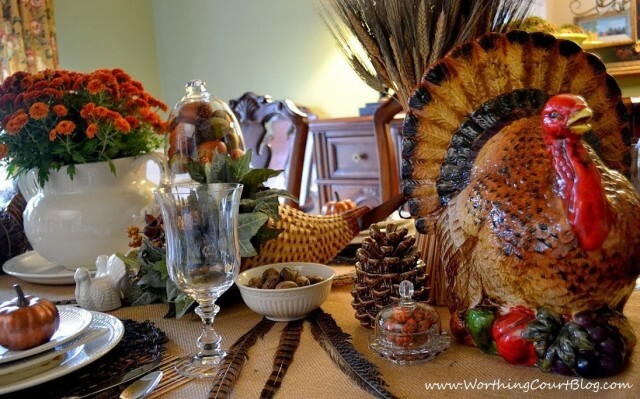 You can see how I tied all of this together on my Woodland Inspired Thanksgiving Tablescape by clicking HERE. 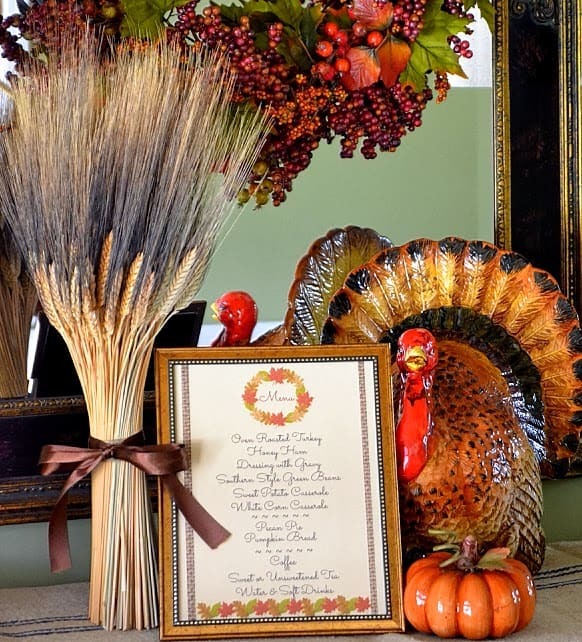 The theme of my Thanksgiving table last year was Bounty of the Harvest and you can see that by clicking HERE. Now – please visit the following blogs to enjoy your dinner! 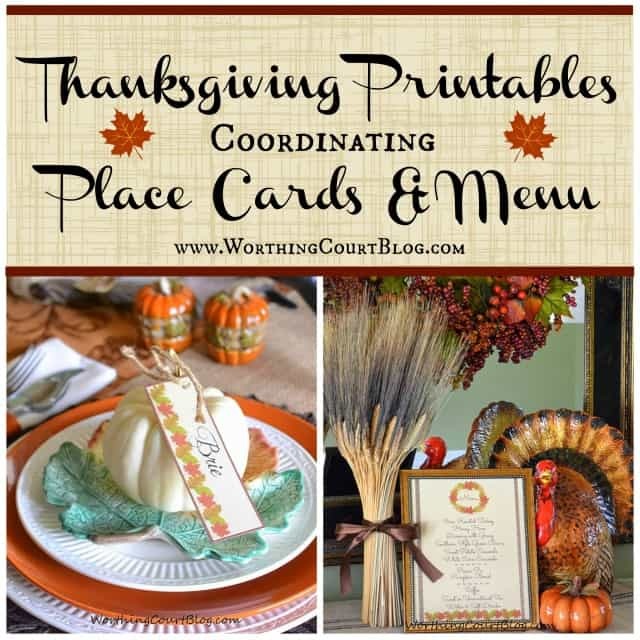 I love your menu card and the attractive way you displayed it on your table with the turkey. Your table from last year is stunning and your Woodland Inspired one is also so pretty. I know your family appreciates the thought you put into making your home attractive for the holidays. 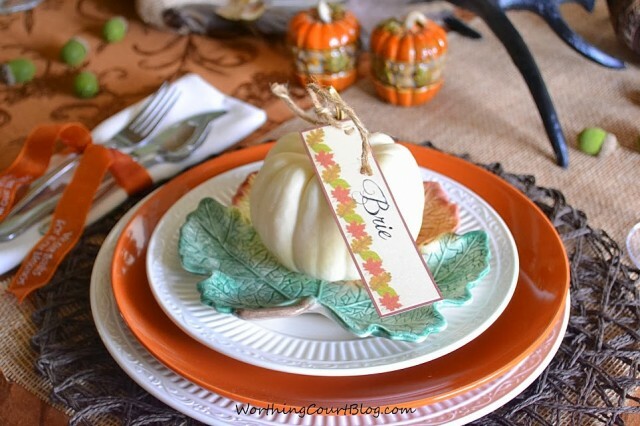 Sounds like lots of fun!…Great place setting Suzy! 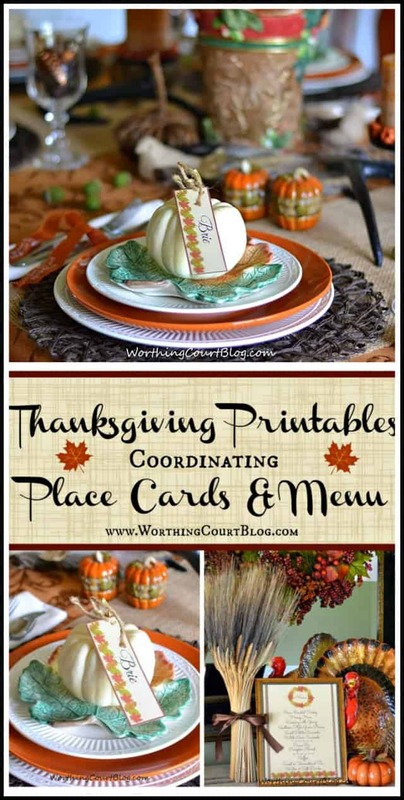 Your table is stunning, Suzy, and I love the printable. I’ve never printed a menu and I love the look. Thanks so much! 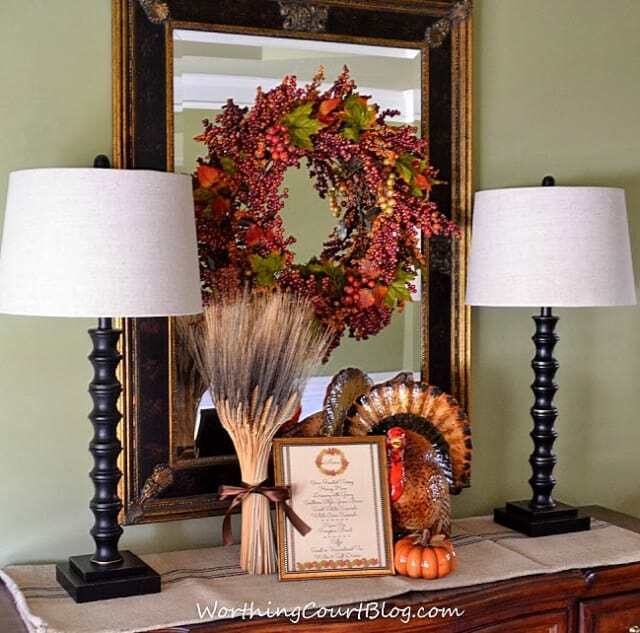 Beautiful feeling of Thanksgiving come through in your stunning vignette and table setting, Suzy! Love the printable and how the menu really does give it that special “I did this for you” touch. Just beautiful! I love the simplicity of the menu and the little place cards add such a nice touch! Well done! Great printables, Suzy. These fall tours and progressive dinners have been so much fun, I’m honored to have participated with you! You did a great job Suzy as always. 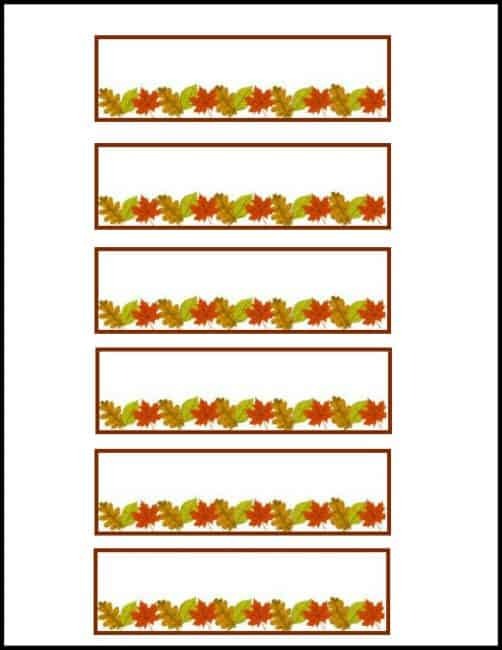 Love the printables, would love them for Christmas too, hint, hint, LOL!! I am really loving all of these tours. Great idea to print the menu! Thanks Suzy! What a lovely printable Suzy! Your decor is just lovely! Happy Thanksgiving! 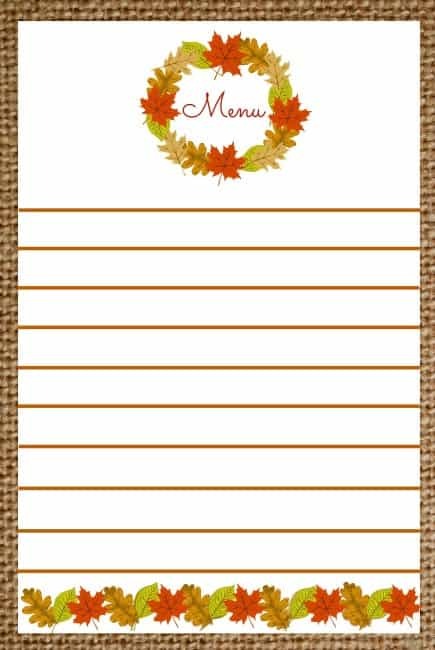 What an adorable menu printable! Thanks so much for the inspiration and it’s been great being part of this progressive dinner with you! So cute! 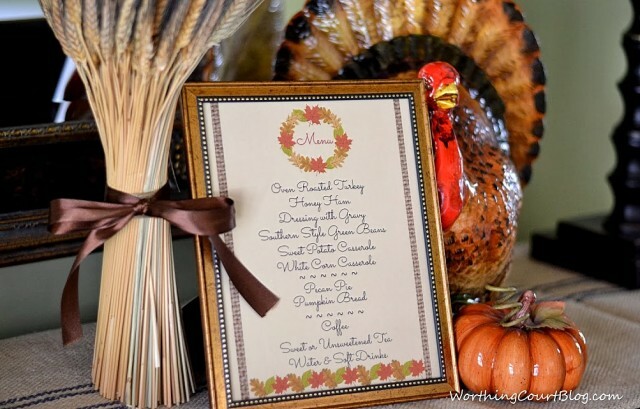 I always love a free printable and your Thanksgiving decor is gorgeous too! Beautiful printable. 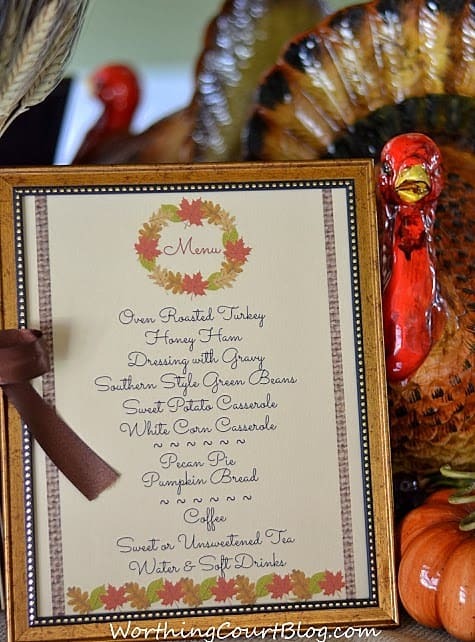 That menu is absolutely gorgeous and would be so perfect for Thanksgiving. So glad to be part of the dinner with you! Wonderful! I love how the menu coordinates with the place cards. Happy Thanksgiving! Just printed off the menu and can’t wait to have my daughter write out the menu! Thank you for sharing your beautiful dining room –looks like you put a lot of love into the details. Happy Thanksgiving! They are so cute. Thank you. Thank you for the beautiful printables! Happy Thanksgiving! I love how you pull together the simplest things & a wonderful statement. So many wonderful ideas from your posts. Just beautiful. Thank you so much for the printables! Love your table. Thanks for the printables to make a statement on our Thanksgiving table. So happy for the big day!